Ooo I tried the sweater out on Mr Soaring Sheep, it's looking promising so far, and at least he'll be around for more fittings for a while! I'm hoping to get the sleeves separated by the end of the holiday so I can then just knit, knit, knit on the body. 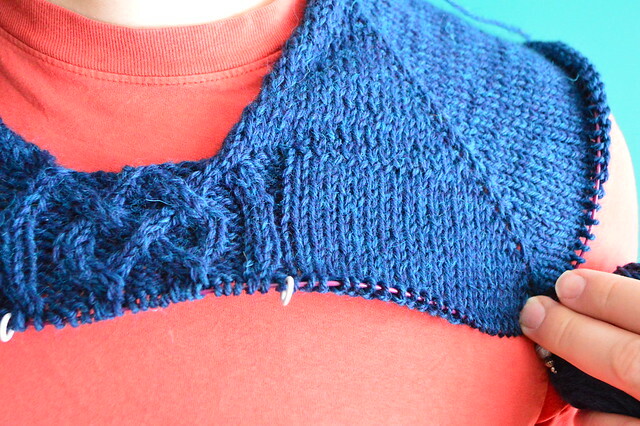 Speaking of cables, I love how they're knitting up :-) I'm using this pattern for them. I love braided cables lol. I am still amazed that you are winging it on a sweater! The cables you chose are very striking. It's going to be a great sweater. Looks awesome so far - I love the cables too! Have a great holiday! That cable looks so smart. Have a lovely time. Hope you are having a lovely time. 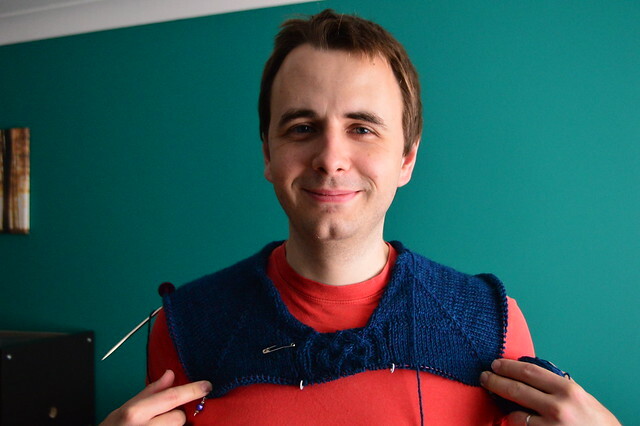 The sweater looks lovely, love cables!